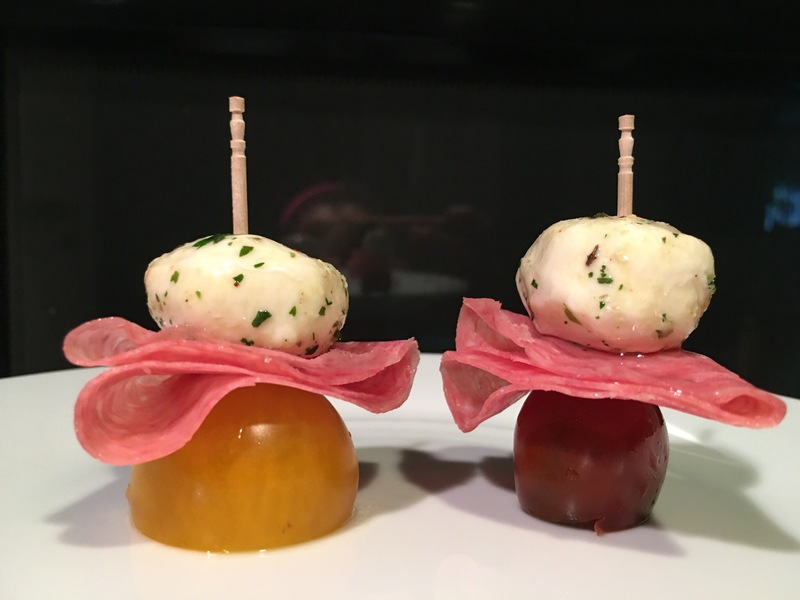 Antipasto skewers – Hurried Home Chef! 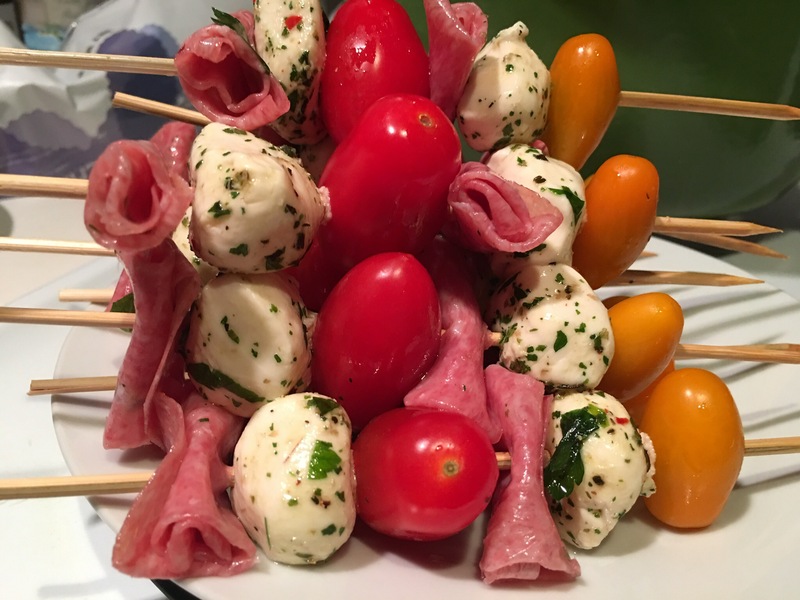 For my assembly only friends, this was fun and easy, and if you have kids that won’t impail themselves on skewers, they can help with this one! All you need are good quality grape tomatoes, I prefer heirlooms, they are usually organic and pretty colors. Then get mozzarella and some meat of choice. I like a simple salami or capicola. I cut the bottom off so they would stand up, but that was just for show. I made more on larger skewers also.